Rob Benner is a Program Associate for Transportation for America. He supports all efforts related to T4A’s Smart Cities Collaborative, including outreach to cities and project partners, report writing, and event management. 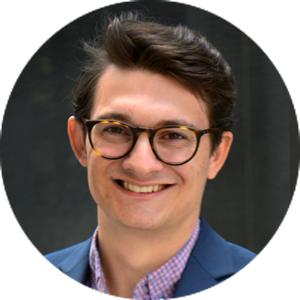 Rob joined Smart Growth America as a fellow in January 2016, where he coordinated and developed SGA’s technical assistance workshops. He holds a bachelor’s degree in History from the University of Vermont. Rob can be reached at robert [dot] benner [at] t4america [dot] org.